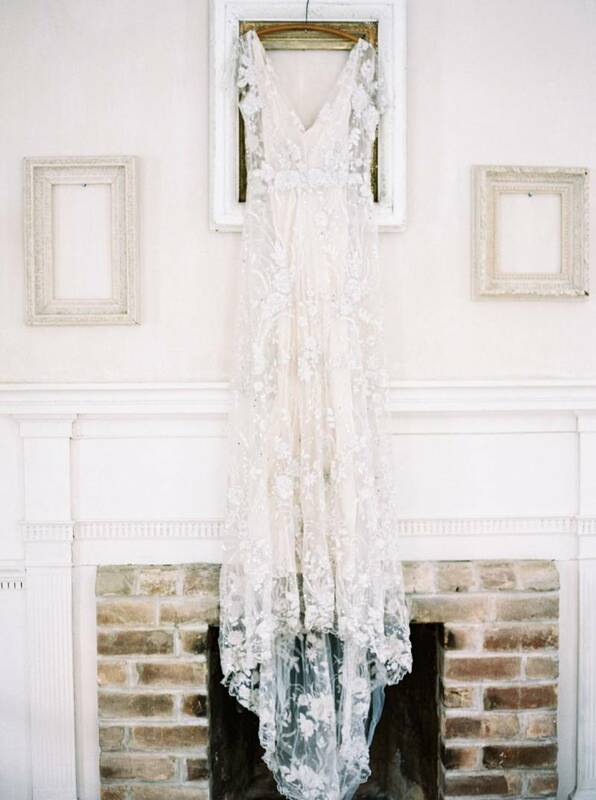 THE RETREAT AT COOL SPRING, a restored historic manor in Bluemont, Virginia, provided plenty of inspiration for this beautiful shoot by LYNN DUNSTON. 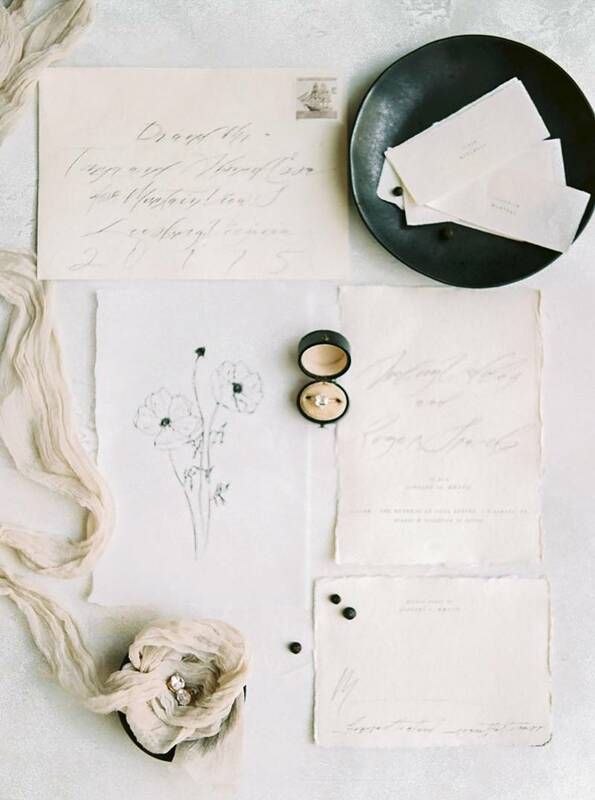 Styled by PROJECHT EVENTS it has a clean and minimal aesthetic with elements of timeworn beauty. To complement the classic beauty of the manor, a neutral colour palette was incorporated. 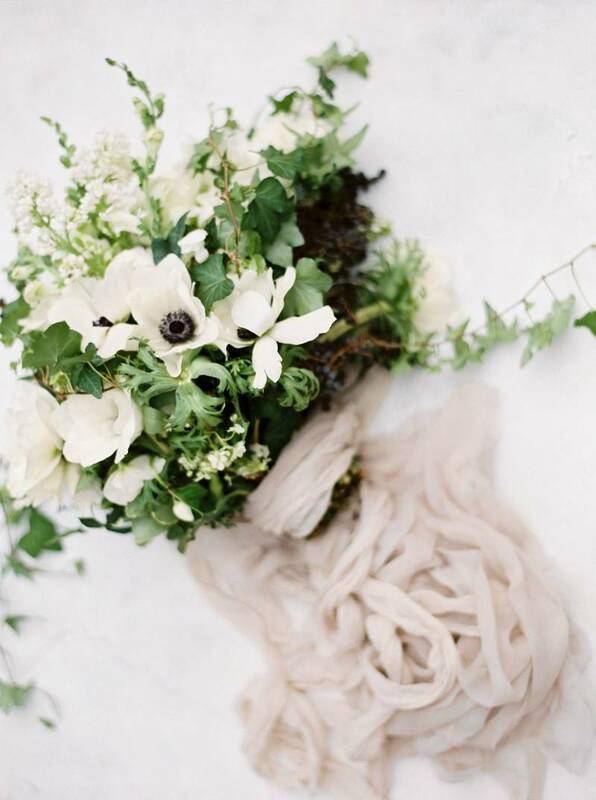 It was full of soft white florals and delicate greeneries by SOPHIE & CO., with the bouquet wrapped in several yards of soft, fine FROUFROU CHIC ribbons. The paper suite, created by SCRIPT & VINE, continued with the soft and organic feel of the shoot by combining clean typewriter text and organic calligraphy, alongside an intricate hand drawn floral design. Timeless details such as a vintage beaded gown by GOSSAMER, a stunning ring and pair of earrings by SUSIE SALTZMAN, vintage plates, and antique gold flatware add to the muted elegance of the shoot!